Creating a story on Instagram is a fun new approach to interacting with your followers. It’s especially important for business accounts. Instagram stories feel authentic, personal, and immediate. Since they disappear after 24 hours, there’s no need to stress about making everything perfect. The charm of Instagram stories is that they’re spontaneous and you shouldn’t overthink them. On the other hand, if you want to make yourself seen on Instagram, stories are a good way to do it. Your stories appear on your profile, but they also appear on your followers’ Feeds and next to the stories that you share. Additionally, people can see your story from Search & Explore. If you add a sticker, a location or a hashtag, your story will also pop up in the appropriate hashtag and location pages. It’s not surprising that some users add a great deal information to their stories. A clever caption or sticker can leave a great impression. But what about links? Instagram is famous for limiting your options when it comes to adding outgoing links. You can add a link in your profile. If you want to inspire people to visit your site, you can add a caption to your story with instructions to check your profile for more information. It’s also possible to paste the URL into the labels you place on your story. That way, your followers can copy it and reach the site in question. If you’re going for this option, it’s a good idea to use a URL shortener like Bitly. But what about direct links? Is it possible for your followers to tap on the story and reach a different webpage? Instagram introduced the swipe-up option for users who want to add outgoing links to stories. When you see a story with the caption “See More”, you should swipe up to reach a new website. The most important fact about the swipe-up option is that it’s not available to every Instagram user. When this option was first released, it was restricted to verified accounts. You probably know that only certain celebrities and brands have verified accounts on Instagram. These users generally used swipe-up to link to promotions, or to concert schedules and other topical information. Some celebrities also used Instagram stories to link to their preferred causes and spread awareness. Instagram took a very careful approach to expanding the swipe-up function. This function is easy to abuse and it could put Instagram users at risk of reaching malware sites. So at this point, the swipe-up option is available to business accounts with 10.000+ followers. But how do you add swipe up to your stories if you have a business account? 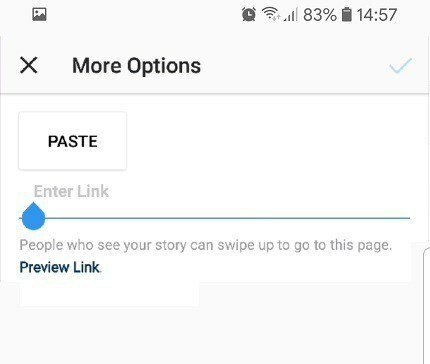 Here is how business accounts can add outgoing links to stories. To create a story, you can take a picture or video. You can also upload media from your gallery or use Boomerang to record a live event. When your story is complete, you can edit it in various ways. If your account qualifies for swipe-up, there will be a “share link” icon at the top of the screen. Look for a chain link icon in the middle of the screen, next to the usual editing options. When you select this option, you can simply paste the URL. You can’t link to multiple websites from one story. 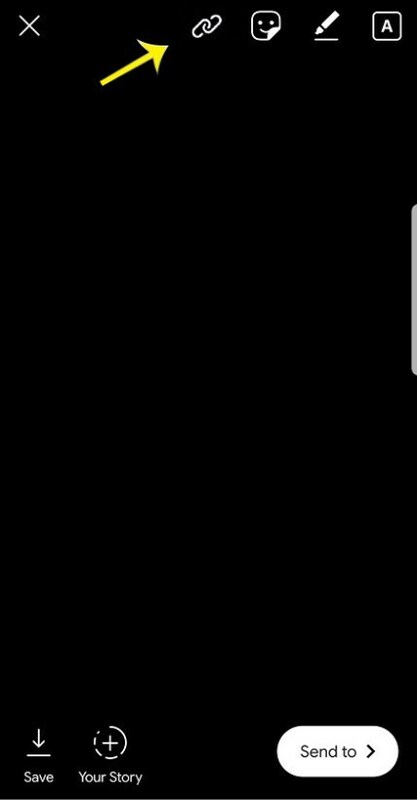 When your story is done, Instagram will add a discreet arrow and the caption “See More”. This is at the bottom of your page and it’s easy to miss. Hence, it’s very important to add an appropriate label to inspire your followers to swipe up. Drawing an upward arrow can get the point across too. Remember that Instagram stories feel personal and unofficial, so you can also add a joke or pun that fits your brand and the image in question. You can also simply draw attention to the “See More” option on the bottom of the page by adding stickers or doodles. Why Is This a Useful Option for Businesses? Stories are becoming popular among all types of businesses that advertise on Instagram. 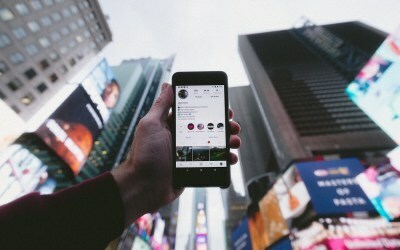 According to Instagram’s internal data from August 2017, over half of all business accounts shared at least one story with their followers in the month. Additionally, we know that Instagram viewers enjoy these stories. Around a third of the most-viewed Instagram stories come from businesses. People enjoy interacting with brands and businesses on their own terms. Offering a swipe-up option is a good way to gain hits on your own website. It also gives people information immediately, without any awkwardness. Impulse purchases are easier with swipe-up too. So if you have the follower count for it, it might be a good idea to invest in a business account. In the long run, the investment will be worth it. If you use Instagram regularly, you have probably encountered stories with witty and engaging swipe-up captions before. It’s important to keep up with this trend even if you don’t have a business account or 10+k follower. Eventually, this swipe-up option will become more widely available. So keep the function in mind, especially if Instagram is a part of your marketing strategy.